Susan Eisenberg is the narrator for the first official novel based on the new CBS All Access series Star Trek: Discovery! 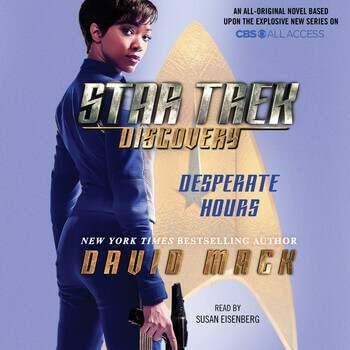 Star Trek: Discovery – Desperate Hours is written by David Mack, New York Times bestselling author of 30+ novels of science fiction, fantasy, and adventure. The novel is published by Simon & Schuster.